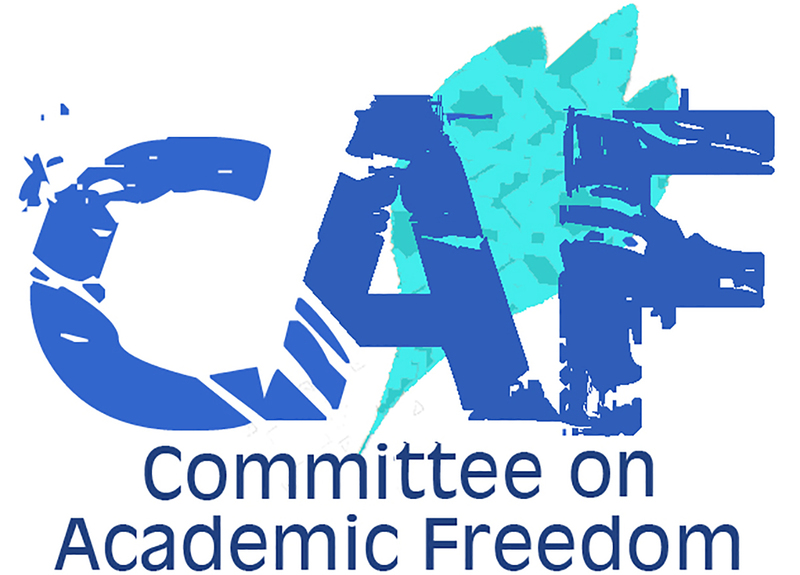 We write on behalf of the Committee on Academic Freedom (CAF) of the Middle East Studies Association of North America (MESA) to condemn the recent sentencing of Ms. Ola Marshoud to seven months in prison for organizing students in opposition to the Israeli Occupation Forces at an-Najah National University in Nablus, where she was a registered student. Ms. Marshoud’s arrest and subsequent sentencing clearly violate her right, as a student in a university under the jurisdiction of the Israeli occupation authority, to free speech and peaceful protest. Ola Marshoud is a twenty-one-year-old resident of the Balata refugee camp in Nablus on the Israeli-occupied West Bank. She has worked as a free-lance journalist while pursuing a journalism degree at an-Najah National University. She has been in detention since March 2018, when she was summoned to the Hawara detention center south of Nablus for interrogation in connection with her participation in student activism. At that time, she was transferred to an interrogation center in Petah Tikva, east of Tel Aviv. She was accused of helping to organize students at an-Najah National University and encouraging them to participate in non-violent demonstrations against the Israeli authorities in the occupied West Bank. On 30 July 2018, the Salem military court sentenced her to seven months in prison. To the best of our knowledge, this seven-month sentence does not include the four months during which she was incarcerated before her sentencing. Thus, she will not be eligible for release until February 2019. Ms. Marshoud’s arrest is not an isolated incident. Non-violent student activists at a number of Palestinian universities have been detained with increasing frequency in the past several months. We have previously written to you on 13 March 2018 and 30 April 2018 concerning Omar Kiswani, president of the student body at Birzeit University on the West Bank, who was abducted from the Birzeit campus in March 2018 and since then has been held without formal charges or trial (these letters are available here). As of this writing, over 300 Palestinian university students are imprisoned in Israel. Many are being held in “administrative detention,” without formal charges, while others face charges relating to non-violent activism. Particularly alarming in this context is the fact that members of the Israel Defense Forces in the occupied West Bank have posted notices, in Arabic, in neighborhoods where student activists live, and even on the walls of these students’ homes, warning their families that the students face arrest and detention if they continue their activism. The parents of some activist students have even received letters containing such warnings. Apparently, these warnings are specifically targeted at female students and their families, and at members of the Islamic Bloc student organization, which is active in a number of Palestinian institutions of higher education, notably Birzeit University. The right of students to engage in non-violent activism to protest administrative and government policies with which they disagree is a fundamental right in a democratic society. The arbitrary arrest and detention, including so-called administrative detention, of students exercising these rights, and the consequent disruption of their education, constitute a clear violation of the right to education enshrined in Article 26 of the 1948 Universal Declaration of Human Rights and in Article 13 of the 1966 International Covenant on Economic, Social, and Cultural Rights. Israel is a signatory to both these conventions and is thus obligated to enforce their stipulations, in the West Bank and Gaza as in Israel proper. Subjecting a young student to months of pre-trial detention, followed by months-long incarceration, seems gratuitously cruel in this instance. We call on the Israeli occupation authorities to dismiss all charges against Ola Marshoud and release her from prison immediately. We further call on the Israeli Ministry of Education to respect the academic freedom of Palestinian students and all members of the academic community in Israel and the occupied territories by condemning the arrest and detention of students who engage in non-violent campus activism. Finally, we call on the Israel Defense Forces and the Israeli Border Police to cease carrying out such arrests and detentions.